Pilates Plus San Fernando Valley is a full body workout guaranteed to whip you into shape, and is unlike any pilates class that you have experienced before. Each move lasts for one minute, and uses your own body weight in addition to the weight chosen for the machine. This is a no nonsense workout with very little downtime, and is a hybrid of traditional pilates and cardio. The movements are very intense and push you to the point of exhaustion. Classes start as early as 6:30am and go till as late as 7:00pm. Classes fill up very quickly so be sure to sign up early! I discovered Pilates Plus four years ago and fell in love right away!! I began taking classes at the Hollywood location but recently discovered the amazing studio in Encino. Jessica is my favorite instructor and her classes fill up weeks in advance!! Jessica is very soft spoken, but trust me, she knows how to deliver an amazing workout. I have never been so tone and in shape from any other workout, this is an entire body BURN! 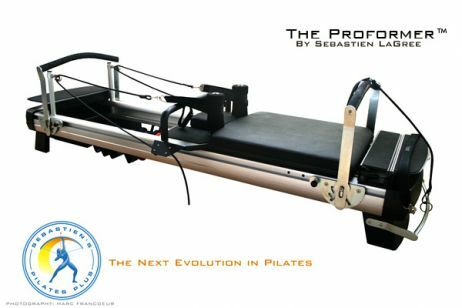 Unlike traditional pilates, this is a heart pumping workout that includes dumbbells and a body barre…plus the amazing proformer, the specially designed machine exclusively for Pilates Plus! Each instructor has their own style, but all of them promise to make you sweat. As an added bonus, a single class is $30, but they are always offering specials so be sure to call now! !